What a fantastic display piece! 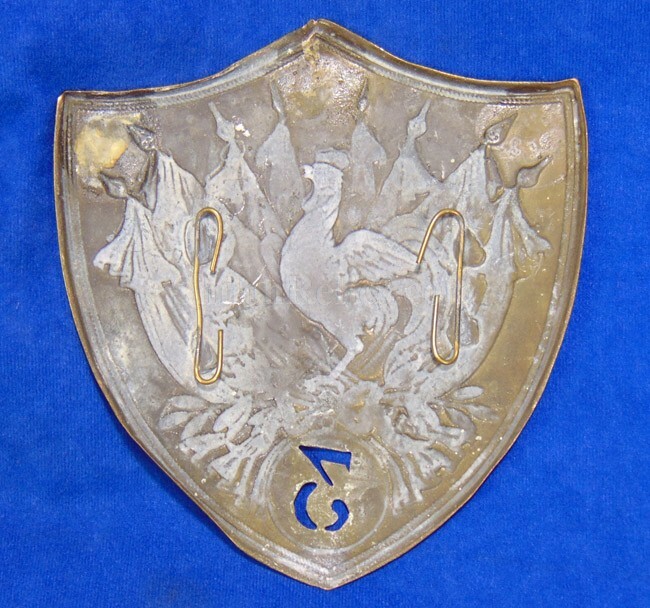 This is a gorgeous original French shako style military hat plate. 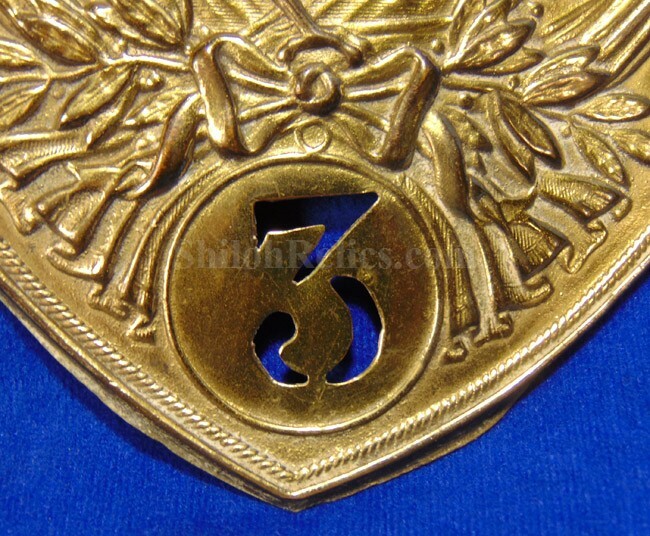 This is the version that would've been worn during the July Monarchy. 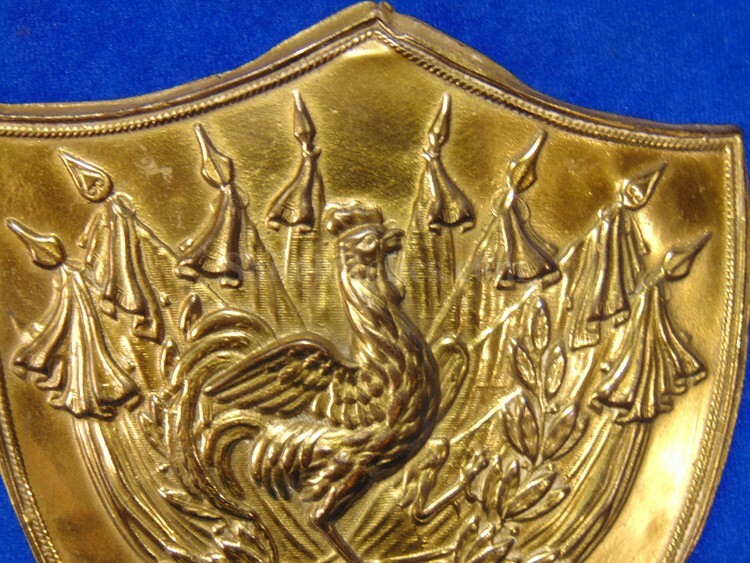 This hat plate would date between 1830 and 1848 while France was under the rule of King Louis Philippe I. 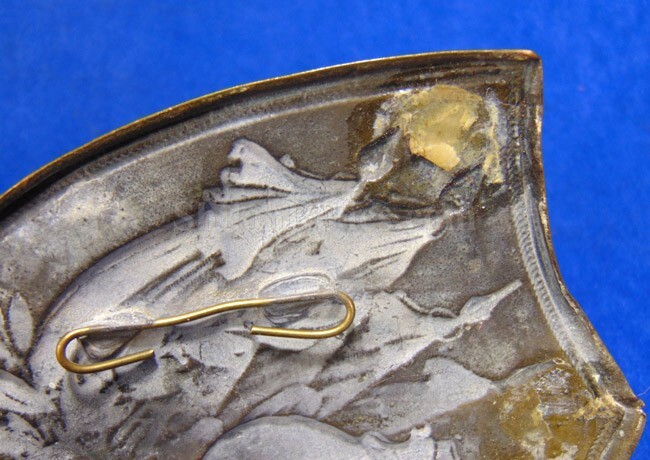 It stands 6-1/4th inches tall and is 5-3/4th inches wide. 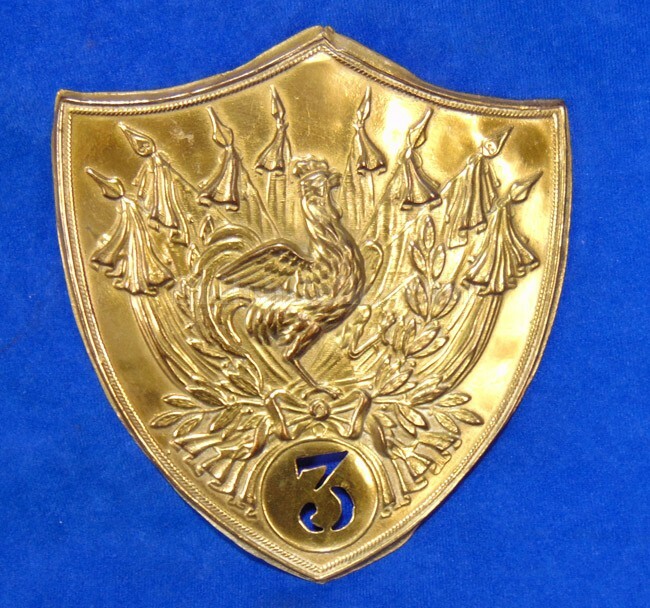 It is constructed out of stamped brass and has the French Gallic rooster rooster above the trimmed out "3" regimental designation. 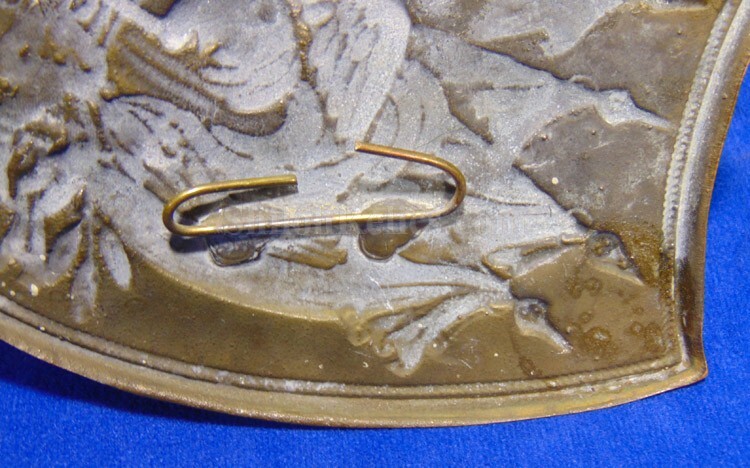 On the reverse it still retains 2 brass wire attachment hooks. 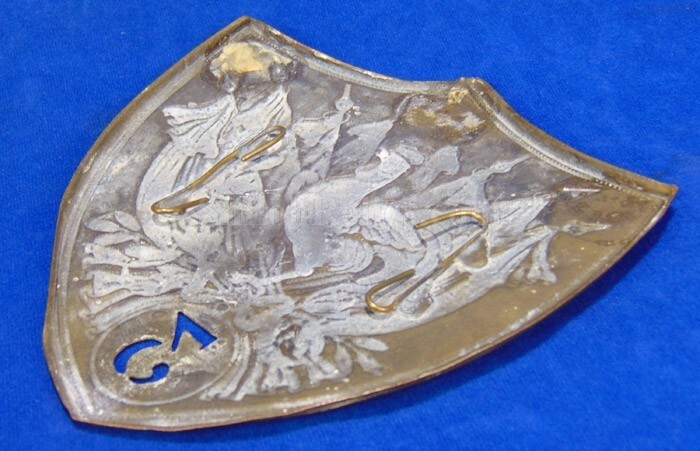 This is a very nice original hat plate.